On Tuesday this week my attention was captured once more by the cloud formations. There have been some really interesting and different clouds around at times in the past few weeks. It was a hot, sunny, blue sky kind of day here on Tuesday and the clouds looked like soft brushstrokes in the sky. This entry was posted in Uncategorized and tagged awareness, blue sky, cloud formations, clouds, hot summer, mindfulness, nature, photography, Summer, sunny day on January 20, 2012 by ordinarygood. 	Let your stomach hang out! 	Slow down your breathing. Fill your stomach with breath as if it was a frog’s. 	Say “No” to a demand on your time. This entry was posted in Uncategorized and tagged awareness, education, health, inspiration, relaxation, self development, stress management, wisdom on October 28, 2011 by ordinarygood. Here is a list of books that have mattered to me or influenced me in the past few years. Many of these authors have websites and blogs to explore. This entry was posted in Uncategorized and tagged awareness, booklist, Books, change, garden, learning, personal development, personal growth, reflection, self awareness, spirituality, wisdom on July 22, 2011 by ordinarygood. What are these pray tell? We have a Melia azedarach tree in our front garden and it has grown enormously since we first moved in over 22 years ago. We had it trimmed a few years back and the arborist told me he would refuse to cut it down because it was such a beautiful tree. In the past year or two I have working hard on being more aware and noticing more and my attention on this tree has increased. Then in the last few months I have been reading Juliet Batten’s blog http://seasonalinspiration.blogspot.com and she too is watching Melia trees and we have shared our observations and findings. I had, until recently known the tree as the Bead tree and I have just learnt why it is so named, thanks to Juliet. The green seeds that are visible on my tree right now, contain a hard, five sided kernel or bead and these beads are used to make rosary beads. 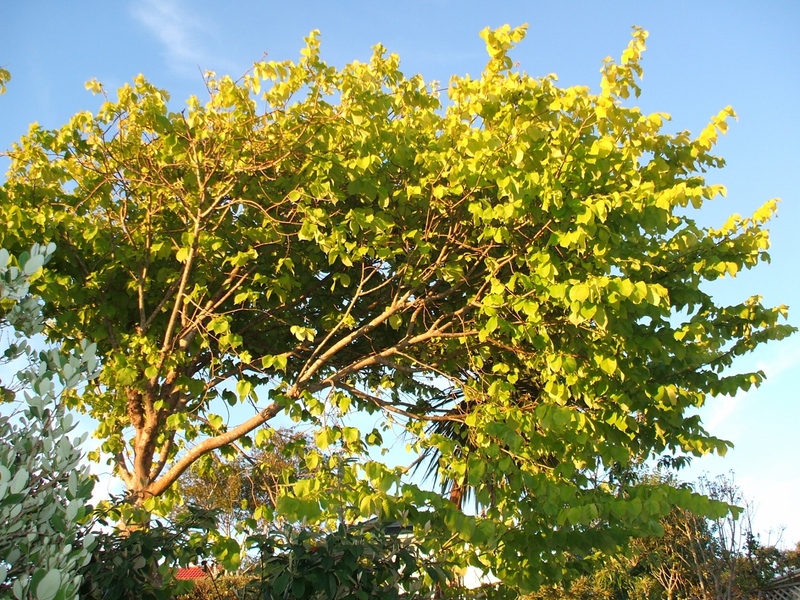 The word “azedarach” comes from a contraction of the Persian vernacular “azaddhirakt” or noble tree. I have a new and deeper appreciation for my Melia and the small gifts it gives to spiritual seekers and for its ancient noble status. This entry was posted in Uncategorized and tagged appreciation, attention, awareness, Bead Tree, beads, blog, garden, gifts, kernals, Melia, noble tree, pray, prayer, rosary beads, Seeds, spiritual on July 15, 2011 by ordinarygood. Saturday 2nd July: Friday wrap-up, a day late. So here are a few things that have happened today. It has been a good one. 	I realized that the very cold weather we have had this week is just the thing to stimulate my newly planted garlic bulbs. 	I took some interesting photos on a walk near my home. I’ve included these two of a Melia tree near our local dairy. It looks so vastly different to the one in my garden. 	There was some humorous television to watch in the evening. This entry was posted in Uncategorized and tagged awareness, birds, blog, cafe, coffee, colours, friend, Garden Bird Survey, gardening, garlic, journalling, lake, laughter, light, Melia, memories, native birds, projects, record keeping, resilience, restoration, roast dinner, self care, soup, story, trees, walk, water, Winter on July 2, 2011 by ordinarygood.